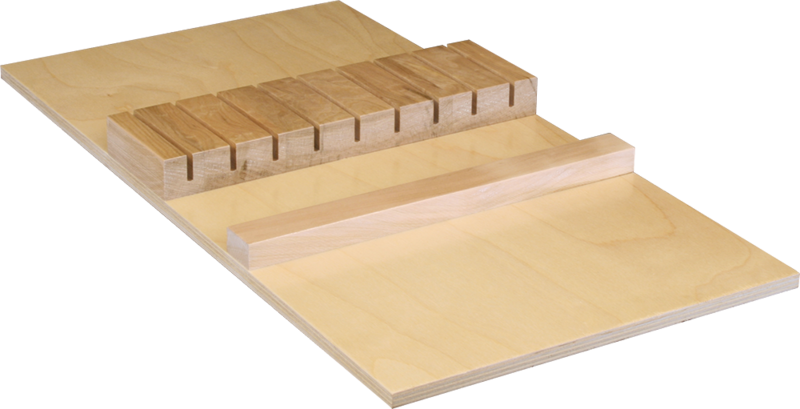 Custom Drawer Box Inserts - Susquehanna Valley Woodcrafters, Inc.
To compliment our extensive custom dovetail drawer options, we also offer a wide array of custom drawer box inserts. 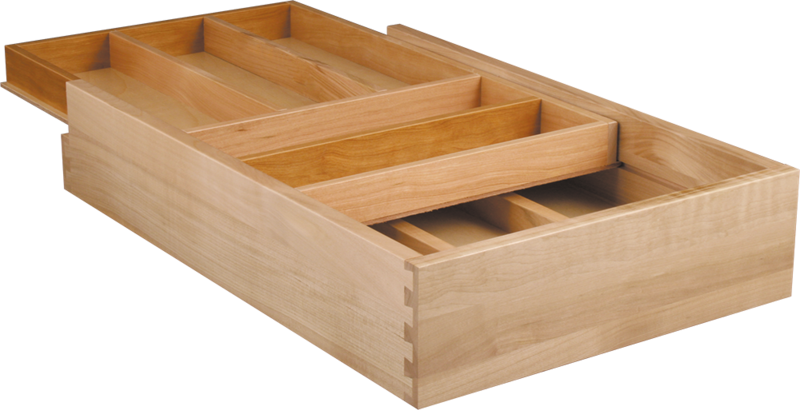 These are custom made to exactly fit our dovetail drawers providing a completely custom, functional product. Our offering includes: cutlery trays, drawer box dividers, spice inserts, coffee pod trays, and more! In addition to our standard insert and divider layouts, we can also work with you to fabricate custom cutlery tray and divider layouts. With this flexibility, our inserts and dividers can not only be used in the kitchen, but also in a bathroom or closet! 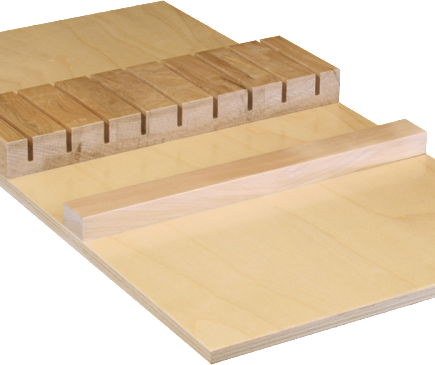 Wherever our custom drawer box inserts are used, you can improve the appeal of your cabinetry with custom drawer inserts from Susquehanna Valley Woodcrafters. Cutlery Trays are custom made to fit the exact drawer box with outer walls and interior dividers. 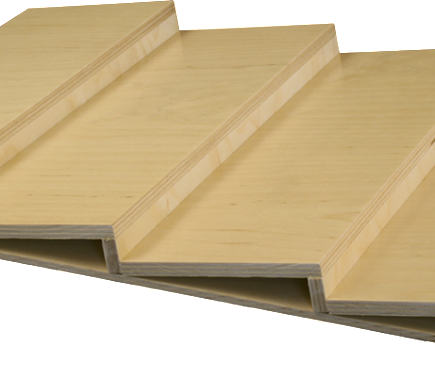 You can select one of our standard divider layouts that work for most applications, or you can provide your own divider layout to suit a specific customer’s needs. Cutlery Inserts offer a 10-15% savings compared with Cutlery Trays. They are constructed with fixed height, fixed divider layouts, and fixed divider spacing. The dividers are made to fit the depth of the drawer. The bottom extends beyond the extreme left and right dividers and is trimmed to fit the specific drawer box. Custom layouts can be accommodated in the Cutlery Tray program. You will be able to set your cabinetry apart from the competition with a custom Cutlery Tray or Cutlery Insert from Susquehanna Valley Woodcrafters. Knife blocks are designed to hold steak knives blade down in a grooved block of wood, providing safe storage and appealing organization. Spice drawer inserts are constructed of plywood steps to display spice bottles in a neat and functional way. We also offer wooden spice and can racks that attach to a door, or they can be mounted as a roll out in a cabinet. The spice rack allows storage for a larger selection of spice containers, while the can rack offers flexibility with organizing canned goods. New to the line of SVW inserts is the Coffee Pod Insert. This is a fixed height tray with a grid of holes cut in the top to neatly store and display single-serve coffee pod inserts in a drawer. No longer do coffee pods need to be stored on the counter or jumbled together in the box. With a coffee pod insert from Susquehanna Valley Woodcrafters, you can offer your customers completely custom coffee pod storage. When other trays and inserts are not necessary, but separation is still required in a specific drawer, choose custom drawer dividers! Fixed drawer box dividers are fastened in the drawer, evenly spaced or at specified locations. 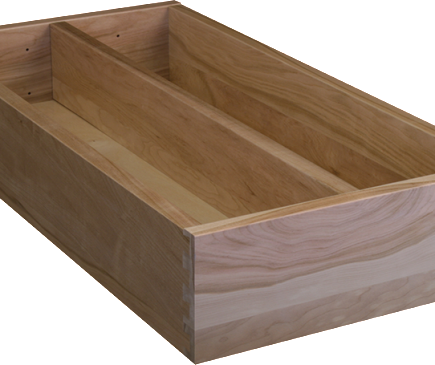 Adjustable drawer box dividers are made with a series of holes drilled in the sides of the drawer box. Adjustable drawer box dividers are held in place with slotted ends that sit on pins placed in the holes. For customers with specific organization needs, you can also provide us a drawing of your desired custom divider layout. You can choose fixed or adjustable dividers, or a combination of fixed and adjustable dividers. This flexibility will enable you to meet all of your customer’s organization needs. Bathroom- to help organize toothbrushes, beauty products, medicines, etc. Family room- to organize CDs, DVDs, etc. 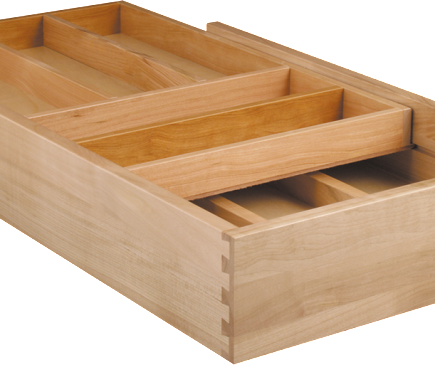 Contact us today to learn more about our quality custom drawer box inserts!